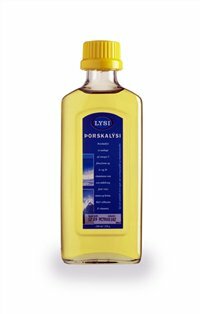 The main manufacture of Icelandic fish oil in Iceland is Lysi. They have been manufacturing fish oil since 1938. And proudly presents over 16 products in their product line. What is so special about fish oil? In the beginning it was mostly produced because of vitamin A and D. Later it was more desirable because of Omega 3. The discovery of Dyerberg and Bang Danish researchers around 1980, when they studied Inuit’s in Greenland and their eating habits. Greenland’s inhabitance’s main food supply was in the sea around Greenland, cold water fish, whales and seals. All very rich in animal fat. Because of so high intake in animal fat Dyerberg and Bang expected to discover a lot of heart problem among the Inuit’s but on the contrary these diseases were unknown to the Inuit’s. After this discovery fish oil began to sell like magic pills and people still notice the benefit of fish oil for numerous reasons. Fish oil can help with depression, heart diseases, dry skin, lifeless hair, hair loss, extra dry lips, swallow sore joint, weariness, problems with oestrous cycle, problems with bowel movement, problem with fertility, poor immune system and many more. It is very common in Iceland that people with arthritis take one or 2 table spoons of Icelandic fish oil on an empty stomach. That way the fish oil somehow travels from the stomach to the joint and grease them. People feel better and continue to take the oil. Other take a large sip of fish oil before they start drinking alcohol. That whey they can drink more but don’t get drunk until later when the fish oil disrupt in the stomach and then they get all of a sudden very drunk. I don’t understand why but some find this tip helpful. Doctors in Iceland helping people with fertility problems recommend Icelandic fish oil while they have couples for treatment, especially for the men. They find it helpful in making more and healthy sperm. I recently came pregnant and the doctor recommended Iceland Omega 3 for me, and told me it was good for the baby’s brain. I think he said the baby could become smarter (or I hope). There are several kinds of Icelandic fish oil. Lysi the major company that produces fish oil produces 3 kinds of fish oil. Those that choose to take fish oil with higher levels of A and D vitamin should choose. Pollack fish oil. These vitamins are essential for healthy boons and teeth, and are also very important for good eye side. Shark fish oil is especially good for the immune system. It is rich in alkoxyglyseroli which helps to produce white blood cells. You can find alkoxyglyseroli in healthy boons and mother milk but not in so high doses as in the shark fish oil.